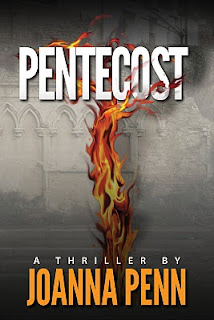 Our friend Tony Eldridge, whose novel, The Samson Effect is heading to Hollywood, suggested I read Joanna Penn’s novel, Pentecost, and get on board her blog tour. Tony, being the marketing wonder that he is, had me jumping at the chance. 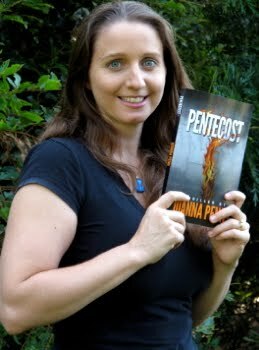 Joanna Penn is the author of Pentecost, a thriller novel, out now on Amazon.com. Joanna is also a blogger at TheCreativePenn.com: Adventures in Writing, Publishing and Book Marketing. Connect with her on Twitter. JM: I’m excited to be part of your blog tour! How many “stops” will you be making? JP: Thanks so much for having me! I'm actually launching the book over one week, 7-12 Feb., so my tour will be promoting on multiple sites at the same time. I have articles and reviews on around 20 sites at the moment, as well as some advertising so I intend to be everywhere at once. This is a more traditional Internet marketing style launch instead of a book tour, and I’ll definitely be blogging about how it went so others can learn from the experience. 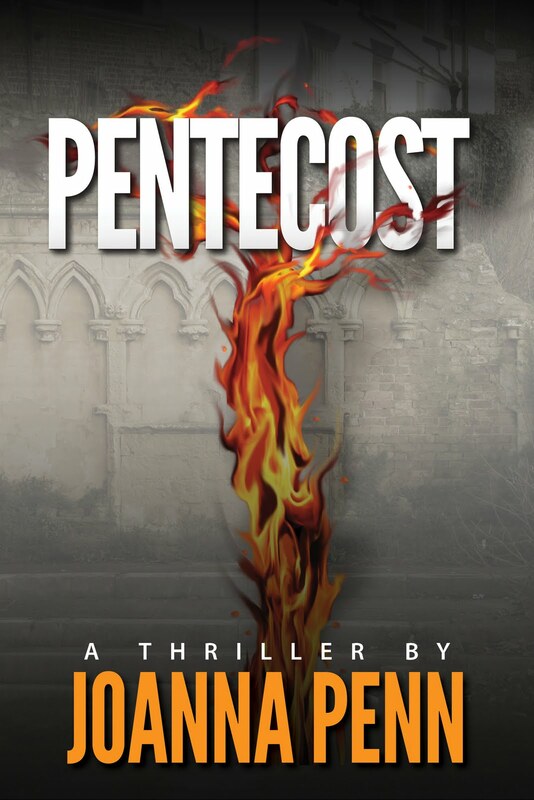 JM: I’ve just finished reading your thriller, Pentecost, which I found engaging and rich in detail and atmosphere. The novel takes place in some of the most interesting locales—Israel, Italy, Iran, Spain, England, to name a few. Did you visit all of these places for research? JP: I'm English myself so the London and Oxford scenes were easy to write and, although I now live In Australia, I've done a lot of traveling. I’ve been to Italy, Israel and America, and the places described stick vividly in my mind. For example, my description of the Church of the Holy Sepulchre is from one of my trips there. The Coptics really do live on the roof! When I was plotting the book, the Biosphere in Arizona stood out for me as somewhere dramatic that could be used for a brilliant climax scene. But I haven’t been to Tunisia, Iran, or Santiago de Compostela in Spain. I love to travel though and always want my books to feature interesting locations. JM: Your travel experiences have definitely added to the novel's depth. I found the pacing and chapter hooks really well done. Did this take you a while to get right? JP: It’s interesting you said this as many people find the book almost too fast-paced and wanted it to be longer. It’s my natural writing style and also my personality to want everything to move fast. I’m one of those writers who needs to add words, not cut them in the editing stage! I also deconstructed some thrillers and looked at how chapters were ended and how the hook kept people reading, then I made sure I followed that structure to ensure the book kept moving. There’s no saggy middle! Many people, including myself, are fascinated by the supernatural. Did you come across something like your fictional ARKANE Institute (Arcane Religious Knowledge And Numinous Experience Institute) during your research? JP: You probably realize that the supernatural is my fascination as well! The idea for ARKANE came to me while watching the British TV show Torchwood which is about a secret British agency investigating aliens. They are affiliated to the government but operate above the law. I also wanted to make sure the book would be the first in a series, so I needed a way to fund all Morgan’s future adventures. It means there are no real boundaries around what I can investigate next. The ARKANE crypt under Trafalgar Square holds many secrets! JM: I love the details you wove in about the Bodleian. Especially the contraption Martin created, an interface connecting vast libraries of digital data and its own virtual librarian. A far cry from their pneumatic tube system! Will we see more of Martin’s creation in the next novel? JP: I studied at Mansfield College, Oxford and the Radcliffe Camera at the Bodleian was my library. I have many fond memories of studying there, but the archaic system of book stacks was crazy! So Martin’s device was a way to keep the atmosphere of the Bodleian but make it easy to use in a digital age. It will definitely be featuring in other adventures, because it’s a way for the team to find information quickly, even from diverse sources. Martin will also stay as a central character. He’s a kind of sidekick, the geeky guy who stays in the office surrounded by computers. Even in the realm of the supernatural, you need that kind of character to keep the logistics moving! JM: Yes, and Martin's a great character! You’ve now written both non-fiction and fiction. Do you have a preference? JP: I enjoyed writing Pentecost and I’m now definitely a fiction author, although I will dabble again in non-fiction. I’d actually like to do a spiritual travel book as non-fiction at some point, perhaps based on the travel I’ll do to research the fiction series. But I have the next two Morgan Sierra/ARKANE books shaping up as well. Lots to write! JM: We'll be looking forward to the next in the series! Let's talk about —your website. Wow, it's quite impressive, as is your journey over the last several years. Blogger, speaker, author, consultant—you must keep very busy. How do you fit in time to write? JP: Basically, you have to give something up if you want to write and create a decent author platform. Several years ago I gave up one day a week of my day job and also ditched the TV. These two actions freed up a lot of extra time. I also get up at 5 a.m. most days and do interviews before work for the blog, and I write at the weekends. It’s about focus and determination. This is important to me but it’s also fun. My blog, social networking, writing, podcasting – these are all pleasure and a hobby so I am not forcing myself to give anything up, I actually want to do this. JM: You’ve made quite a contribution to the writing community by sharing all that you’ve learned. Can you tell our readers a bit about your podcasts? I am looking forward to downloading a few to my iPod. JP: A podcast is basically an audio program you can download from the Internet and listen to on your computer or iPod/other device. You can also subscribe on iTunes and other services so the latest episode is delivered to you. The Creative Penn podcast is a weekly program where I interview experts on writing, publishing and book marketing. I started it so I could learn from people, and that aspect is still an important theme. I want this information to be available for free so people can listen and learn, then apply to their own lives. I’m now up to 84 episodes. On a personal level, it also means I connect with people from all over the world which also expands my own profile and means I’m not always working alone! JM: What’s the best writing advice you’ve received? JP: Write a really bad first draft. Just get it down on the page and then you’ll have something to edit. You can’t edit a blank page. This is a combination of advice from Anne Lamott’s Bird by Bird and Mur Lafferty from I Should Be Writing, an excellent podcast for writers. JM: Bird by Bird is a great inspiration-- I try to read it at least once a year. I'm not familiar with the Mur Lafferty podcast; I'll have to check it out. Which authors do you read for pleasure? JP: For fiction, I enjoy fast-paced thrillers with supernatural themes (which is why I wrote one!). I like James Rollins, Matthew Reilly, Douglas Preston & Lincoln Child, Lee Child. I also read a wide range of other fiction, browsing the Kindle store weekly for new books to read! I do have a review blog (http://www.MysteryThriller.tv) which I keep separate as not everyone likes mysteries and thrillers. I also read business and marketing books for entrepreneurs, travel memoir, pop science and psychology books as well as anything to do with religion. I’m a biblioholic so my writing and the blogs help feed the passion! JM: Thanks for taking the time to stop by! Enjoy this week of your blog tour and we wish you much success with Pentecost! JP: Thanks so much for having me! Readers, don't forget to stop by our Facebook page to check out the covers our author friends have shared! Thanks again for having me Joan!